Guestline are pleased to announce that Brend Hotels, a collection of luxury hotels across Devon and Cornwall are the 'Wish you were here' winners! Brend Hotels, consisting of 11 Hotels and a number of restaurants has something for everyone. 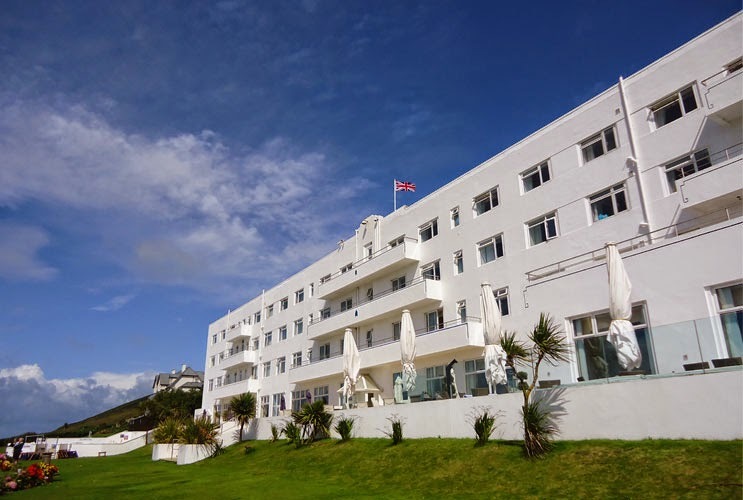 The portfolio includes The Saunton Sands Hotel, The Imperial Hotel, The Park Hotel, The Barnstaple Hotel, The Royal & Fortescue Hotel, The Royal Hotel, The Victoria Hotel, The Belmont Hotel, The Devon Hotel, The Royal Duchy Hotel and The Carlyon Bay Hotel in St Austell. Brend Hotels is a family run company that has been a leader in West Country hospitality for over fifty years! The group offer all of the added extras you could want including Golf, Spa, Fitness, Health and even run their own Coach Holidays. All of the above properties are unique but our favourite here at Guestline is The Saunton Sands Hotel in Devon. The hotel is perfect for a relaxing break by the sea, overlooking one of the finest beaches in Devon - a three-mile stretch of smooth sand offering safe paddling and bathing, and exhilarating surfing! During your stay there are many things to do, from Golf to the Spa, From walking to surfing. You are sure to work up an appetite which leads nicely on to the restaurant available at Saunton Sands. With its AA-rosette status and panoramic views of the coast, the main restaurant has all the glamour of the 1930s with original art deco chandeliers. The menus change daily and the chefs make the very best use of local produce to provide you with a real taste of Devon. You can book your stay here and be sure to check out the special offers. What is really important is improving writing skills. here you can get more advices about writing 1000 word essay and use it in college if you need.